It is impossible to disable Steam Cloud for this game, as all items are stored in your Steam inventory. Driver-side forced AA works fine (tested on Nvidia GPU with MSAA 4x). Frame rate is capped at 64 FPS. Game speed is bound to frame rate. 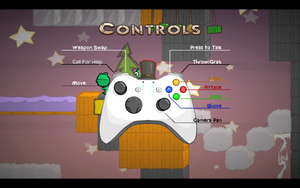 Gamepad layout for the game. 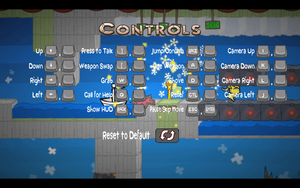 Navigate to "Controls" with keyboard and mouse. Can't remove bindings. With mouse only Mouse 1 and Mouse 2 can be bound. Navigating to "Controls" menu with controller only tells what keys are. Only cutscenes, narrations aren't subtitled. 2-player co-op. Separate levels from single player. Can feature 2 local players. 2-player co-op. Separate levels from single player. 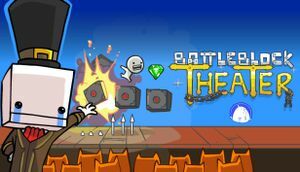 Game is designed to use input device you are using and locks to it outside main menu. When joining friends game via Steam overlay and clicking invitation game locks itself to keyboard and you have to return to main menu to change back to controller. 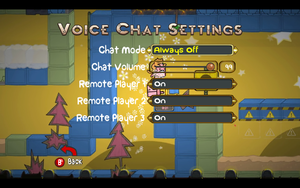 Workaround for this is to start Steam in Big Picture Mode so you can select invitation with controller. You may also try to join friends game via matchmaking. The fix was posted on the Steam Community forums, consists of using an hex editor and replacing 6 bytes starting at offset 0x24F2BE with 0x90 (NOP Instruction). A binary patch with this change applied can be found here, you need bspatch to apply it. 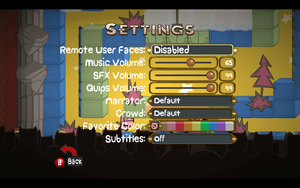 Players can use their own images as character face. Images must be PNG format, be 128x128px size and put in folder <path-to-game>/GameData/UserFaces/. 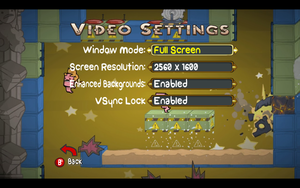 Images can have alpha channel to make them partly transparent in-game. Maximum amount of files is 60.